Goa is regarded as the Mecca for holiday seekers and vacationers. 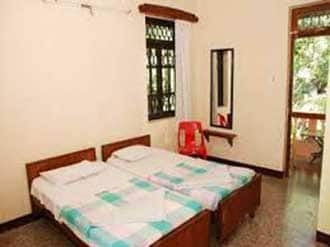 Rita Guest House located near Candolim panchayat offers 12 exquisite and sea facing rooms. They offer a place where you can relish sheer bliss living in a fabulous ambience, enriched with a host of remarkable services. Room service and front desk attendant is for defined hour along with laundry facility. There is a peculiar smoking room available at the guest house. Parking space is offered complimentary at the guest house. The rooms offer facility like cosy bed with private bathroom, spacious balcony to view the serene beach.